Gremolata Roasted Potatoes made with skin-on red bliss baby potatoes tossed with a mixture of fresh parsley, garlic, lemon and extra virgin olive oil. Gremolata was a new term for me, but the funny thing is that I’ve been using this flavor combination for years and didn’t know it actually had a name. 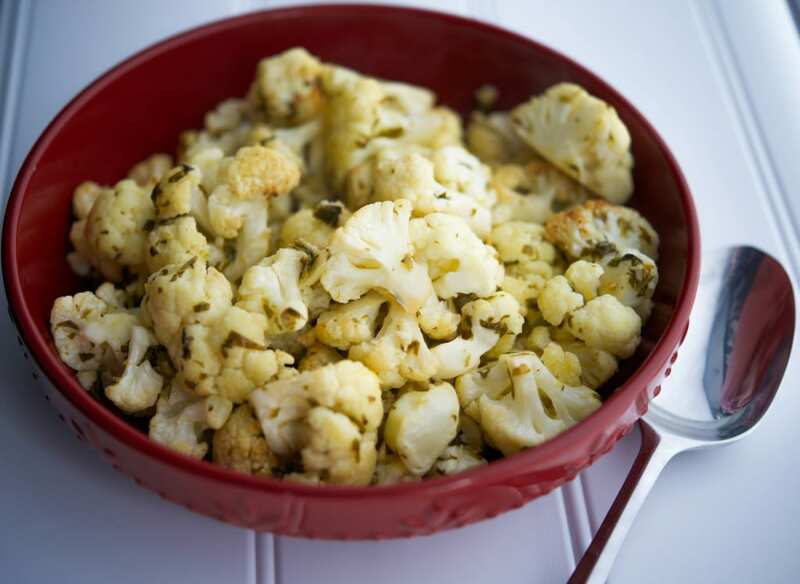 When something states “gremolata” it means a combination of lemon, parsley and garlic. There are other iterations, but all of them will contain lemon. 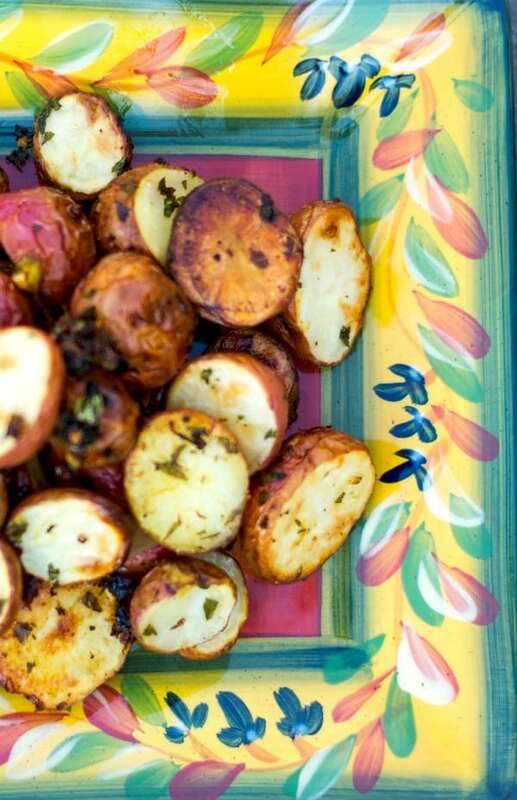 I love the freshness that it gives to a recipe and these Gremolata Roasted Potatoes were no exception. To make this recipe you’ll need baby red bliss potatoes, lemon zest, fresh parsley, garlic, extra virgin olive oil, salt and pepper. Start by washing your potato skins well with a vegetable brush; then cut the potatoes in half and place them in a bowl. In a separate small bowl, add the lemon zest, parsley, garlic, oil, salt and pepper and mix well. Next, pour the mixture over the potatoes and toss to coat. Finally, place potatoes on a sheet pan and bake in a 425 degree F oven for 30 minutes or until they turn golden brown. 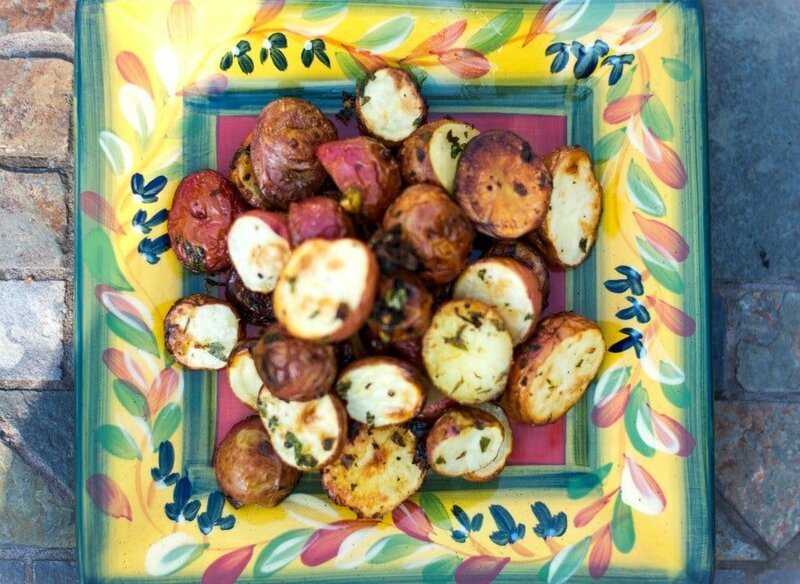 These Gremolata Roasted Potatoes serve four people and make a deliciously light side dish. 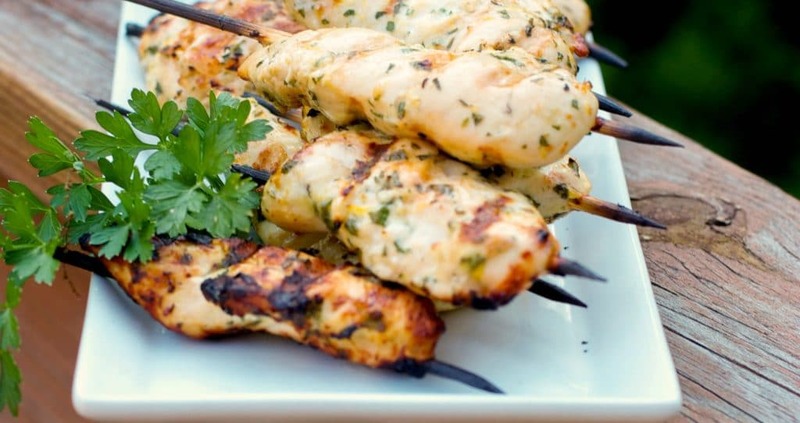 Some of my favorite recipes to pair them with include Lemon-Dill Grilled Chicken, Greek Honey Lemon Grilled Pork Chops, Tuscan Style Grilled Rib Eye Steak and Chicken with Lemon Butter Sauce. ~Enjoy! Wash potato skins well with a vegetable brush; then cut them in half and place them in a bowl. In a separate small bowl, add the lemon zest, parsley, garlic, oil, salt and pepper and mix well. Pour over the potatoes and toss to coat. 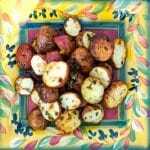 Place potatoes on a baking sheet and bake for 30 minutes or until they turn golden brown. These sound delicious, Carrie! I love gremolata. They would go great with my gremolata marinaded chicken! I think I made these the day you posted that chicken recipe and you’re right, they would go perfectly! Those look delicious and so easy! I love lemon zest and find myself using it more and more. Thanks for sharing this, it is one that Ii will most definitely make! Thanks for stopping by Delilah and I love adding lemon to many dishes. It gives everything a light, citrusy flavor! 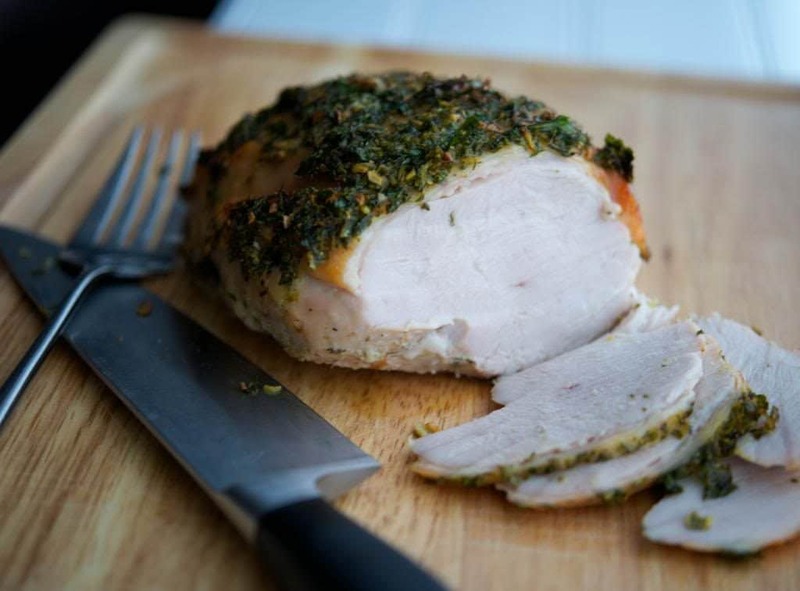 This is definitely a great dish to make… wow! These look great, I love a simple potato dish! Thanks Carrie. I know, some of the best recipes are the ones that are simple.